Nice coverage of the concert and exhibit by The National on CBC. Really looking forward to being able to watch and listen to this. Many thanks in advance! Two of our Montreal Photo Galleries are now open, and there are several more under construction. On this article of the main spanish newspaper, El Pais, Mr.Manrique a well known music journalist, has writen about Montreal Tribute mixing it with the political issue of the Quebec and Catalan independence. I was really shock about what he has written about Leonard, as far as I know, there is almost nothing true on it, thats why I ask, especially fòrum membres of Montreal, to explain if he is right in anyway or just simply "using" Leonard memory no make a political statement. It is comforting to see that Montreal is throwing the house out of the window in celebration of the first anniversary of the death of its most universal creator. It was not always like that. In 1990, in the company of a photographer, the author of these lines flew to that city to make a report that we wanted to title The Montreal by Leonard Cohen. We had the blessing of the artist, who kept a house there, in the Rue de Vallières. Being an order from the magazine Ronda Iberia, we followed the institutional channels: the Quebec tourism department was informed of our intentions. When we arrived in Montreal, an English-speaking official was waiting for us with an unexpected message. Very uncomfortable, he warned us that he could only guide us a few hours, on a tour of historic Montreal. It seems that the authorities of the province, nationalists of the Quebecois Party, judged "highly inadequate" that Leonard Cohen represented the great metropolis of Montreal. They offered, on the other hand, that we should focus on Robert Charlebois, a popular French-speaking singer; in that case, we would have all the facilities. With all the respect for Charlebois, it was not the same. Besides, I suggested, Cohen had also sung in French. "They do not consider him, they say he has a bad pronunciation." And one of his two novels, now reissued by Lumen, beautiful losers, uses as background decoration the life of an Indian woman who lived and died next to Montreal, Catalina Tekakwitha, now considered a saint. "Better not to enter into that." Had we touched a sensitive area? According to Mordecai Richler, the Anglophone novelist who led the intellectual resistance to the independence referendums, Quebecois nationalism hides anti-Semitic roots, typical of an identity forged in complicity with the pre-conciliar Catholic Church. Like Richler, Cohen was not "pure wool", a name that is applied there to natives with abundant French-Canadian ancestry. To our stupor, we saw that Leonard was not loved in some sectors of the Jewish community of Montreal, because of his immoral life or because of religious dissidence. We locate the residence of the Cohen family in the prosperous Westmount neighborhood; It was closed. The neighbors were ultra-Orthodox Jews who fled-literally, they ran out-to our questions, as if we had mentioned Lucifer. Outside these rarefied environments, we discovered that Leonard enjoyed the appreciation of his most open countrymen: "Yes, he usually goes back to the city and greets everybody." His books were in bookstores, just as his records were easily found (something that did not happen in the United States, where he ended up without a record contract). Aesthetically, he was considered part of the fifth of modernist writers mid-twentieth century, slightly bohemian authors who avoided the extravagance of their contemporary beats. Cohen embodied his ideal of Montreal: an elegant, seductive, cosmopolitan enclave. Cantor Gideon Zelermyer has kindly given his consent for me to post this video. The story gives us an insight into the depth of Cohen family links with the synagogue and religious references in Leonard's lyrics. Gideon spoke for over 30 minutes and Iwas hand holding the camera, so please excuse the shakiness when my arms get tired. Albert, thank you so much for this. Albert, thank you so much for recording, and sharing this with us. Deeply moved. Mimi from Montreal here....Very new to the forum officially, even though a regular visitor I would like to start and contribute somehow to this great community by posting a playlist with some songs from the show in ''Notre Dame chapel'' with Sylvie Simmons and Li'l Andy. I hope I'm in the good topic categorie here. I was glad to make some new friends from this forum during that fantastic week and looking forward to see some of you again soon. Here is my contribution from the november 6 show in Centre Bell. Until the official broadcast on Tv or the release of a DVD, I think it's the best next thing until now. I say that because I have filmed almost all the show (21 videos to be precise) thinking of all my Cohenite friends that wanted a glimpse of it without being there...My husband was ''forced'' to help me so I could rest my arms here and there. I missed 3 songs maybe, the speech of our prime minister and had to take down the footage with family videos and an unheard version of the song ''Book of longings'' out of respect for his family. I was wery near of the stage but by the side so the front images come from the screen. I hope you will enjoy it!! MONTREAL — One of Montreal’s nicknames is City of Saints, due partly to the high number of streets named after canonized figures. Based on how Montrealers are now venerating Leonard Cohen a year after his death at age 82, it may be only a matter of time before Saint Leonard appears on local city maps. Visitors there this month could easily think the predominantly Catholic city was in the process of canonizing its most famous Jewish native son: Cohen’s image now looms large, literally and figuratively, in his old stomping grounds in ways never seen before in Montreal — or in the rest of Canada. Initiatives include two gigantic wall murals; a prominent decoration at the city’s airport; ballet performances; nocturnal projections of his words on a grain silo in the old port; a star-studded tribute concert; roundtable discussions of his work; a dance homage; a major museum exhibition; a series of musical performances, each focusing on a different Cohen album; a public karaoke happening in a local subway station and many other projects. The multi-pronged tribute by the mostly francophone city to its much-loved anglophone poet, singer, songwriter, novelist and artist has some people scratching their heads in wonderment. But it’s also a source of great pride, especially to the city’s Jewish community. Singer is one of 18 men chosen by the city’s Museum of Contemporary Art (MAC) for a video tribute to Cohen by artist Candice Breitz as part of its just-opened multi-disciplinary exhibition. To apply, candidates had to be male, at least 65 years old and had to write about how Cohen influenced their lives. Some 200 people applied. Those selected were then filmed separately singing and recording their own version of the singer’s 1988 “I’m Your Man” album. The life-size clips are featured in Breitz’s 19-channel video installation. The exhibit runs until April as part of the city’s poignant posthumous salute to Cohen. Viewed together, the initiatives show the depth of Montreal’s appreciation for him. Never before has Quebec’s cultural and business capital mounted such a glorification. “Several people who knew Leonard have told me he’d be embarrassed by everything Montreal is doing in his honor,” says Singer, who spoke to The Times of Israel during a commemorative sing-along of Cohen songs at The Main, one of the singer’s favorite local restaurants. “A few days ago, on CBC Radio, a guy said, ‘I’m all for celebrating the memory of Leonard Cohen but who ever had their image plastered 22 stories high on the side of a building?’ I asked my daughter, ‘Was Frank Sinatra ever honored like this?’ It’s such incredible adoration. What Montreal is doing for Leonard is next to sainthood,” Singer says. The laudatory treatment Cohen is receiving goes far beyond what mere saints enjoy. He’s now truly larger than life thanks to two massive outdoor portraits of him that ensure his oversized presence in the city for years to come. Last week, municipal officials inaugurated the bigger of the two, 22-stories high on the side of an apartment building on Crescent Street on the city’s west side. The image of Cohen looking serious in his trademark fedora is based on a photo by his daughter Lorca. Across town, just off Saint Laurent Boulevard, a more diminutive — a mere nine-stories tall — depiction of the vaunted troubadour has him peering over his former haunts. The murals may be the boldest testament to Cohen’s popularity seen by this reporter in Montreal during a four-day visit there last week but many other manifestations caught my eye. For the month of November, travelers at the city’s international airport are greeted by an unusual sight. The main terminal is literally tipping its hat to Cohen. On its facade, a large, commemorative fedora, like the one he wore on and off stage, sits atop the airport sign. Given how the city has embraced his legacy, he was often on people’s lips and almost ubiquitous. So many Montrealers have their own Leonard Cohen stories, based either on a strong association with one of his songs or books, or from having actually met him at places he frequented in the city. People seem to genuinely enjoy speaking about him and his work, many referring to him endearingly just by his first name. “There was a time when Leonard Cohen wasn’t as recognized in Quebec as he is today,” says Zev Moses, 34, founder and director of the Museum of Jewish Montreal (MJM), on Saint Laurent Boulevard, near the home Cohen kept since the 1970s. The MJM mounted its own commemoration, a photo exhibition called Leonard Cohen: Rituals of Absence. Standing next to the exhibit’s images of impromptu memorials people created outside Cohen’s home last November after he died, Moses cites one main reason why local Jews feel such kinship to their legendary landsman. “Leonard Cohen’s relationship with his Judaism is relatable for many Montreal Jews,” says the New York-raised Moses, who’s lived in Montreal for the past 20 years. “He was someone who struggled with his religion and traditions quite a bit and there are a lot of people in the Jewish community who experienced that or experience it today. 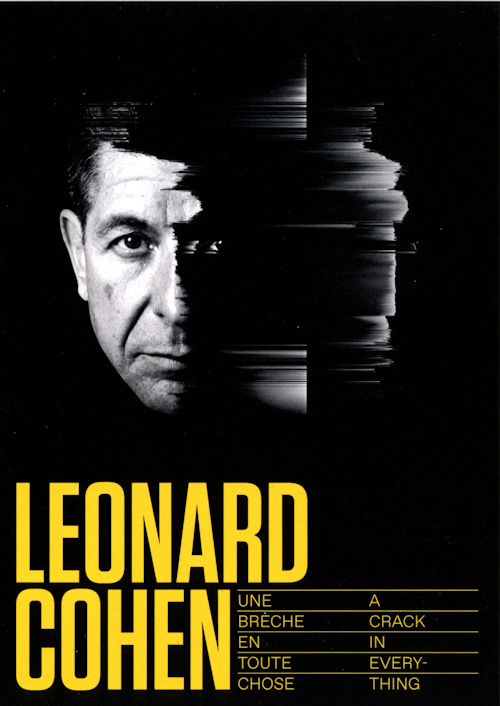 "But ultimately as Leonard came through his life, his writing and music were more deeply Jewish and by the time of his last album, he’s using the choir from the Shaar Shamayim synagogue, one of the bastions of traditional Judaism in Montreal to make his art,” Moses says. While in Montreal, I visited Shaar Shamayim, situated in Westmount, the well-heeled neighborhood where Cohen was born in 1934 and spent his formative years. Along one of the main floor walls adorned with class photos is one from 1949 in which Cohen appears in a double-breasted blazer and tie. Near the main sanctuary are portraits of his grandfather and great-grandfather, both past presidents of the synagogue. An employee shared with me that although Cohen rarely attended in his later years, he kept his membership active until his death despite spending most of his time in Los Angeles or on tour. Shaar Shamayim is also feeling the outpouring of emotion and interest in Cohen. Cantor Gideon Zelermyer, who performed on Cohen’s final album, told me it’s now common for strangers — Montrealers and tourists, Jewish and non-Jewish — to come to the synagogue for its connection with Cohen. Some even ask if they can attend a service where he had his bar mitzvah 70 years ago. Montreal documentary filmmaker Eric Scott, who has researched past French-Canadian anti-Semitism for one of his films, is not surprised the city is showing such effusive praise and affection for a Jew. “Montrealers, even anti-Semitic ones, embrace Montreal smoked meat and Montreal bagels,” says Scott, 65. “Why? Because they’re delicious and world class. Montrealers like a winner. And Cohen was a winner, just like the city’s hockey team in its heyday. He ‘made it’ on the international scene with music and poetry that transcend linguistic barriers. “He didn’t piss off Quebec nationalists. He never got involved in that debate. He sang the odd song in French and spoke French to his Montreal audiences. ‘Suzanne’ [his famous song] was about Suzanne Verdal, one of theirs. What’s not to like?” Scott says. Although her first language is French, Montreal-born Josée Plamondon has had a decades-long affinity for Cohen dating back to her days as a college student. She too is not surprised her city is embracing so warmly someone from a minority community. “Except for a few bigots, I don’t think Montrealers define themselves by their faith,” says Plamondon, 55, a digital content and metadata specialist who’s always lived in Montreal and last year visited Cohen’s grave in the cemetery not far from her home in the Mile End neighborhood. “He’s part of Montreal’s history as a great artist, both reflecting and adding to the city’s rich cultural mix,” she says. “Many prominent Montrealers who’ve contributed to the academic, commercial, artistic and scientific development of the city and who we’re proud of have come from the Jewish community, like Cohen. “That community, originally mostly immigrants from Eastern Europe, has made a positive impact, even on what we eat. Many French Canadians have adopted Jewish foods like stuffed cabbage, smoked meat sandwiches, and pickled cucumbers and beets,” says Plamondon. Filmmaker Ari Folman is the lone Israeli represented at the exhibition. During a media preview, Folman told journalists of his initiation to Cohen’s work in 1972 when he was nine years old growing up in Haifa. “One day, when my oldest sister was 18, her boyfriend dumped her and she went into a deep depression,” said Folman, best known for his 2008 animated film, “Waltz with Bashir.” “She locked herself in a room for weeks and played one record on her turntable incessantly: ‘Songs of Leonard Cohen,’ his first album. “The whole family stood outside her bedroom day after day for hours, afraid she’d harm herself. As long as she kept playing the record, we knew she was alive. Eventually, she came out. Ever since, I’ve associated Cohen with an all-embracing, even sweet, melancholy that gives you a feeling of home and of ‘leave-me-alone-for-a-while, I-need-some-time-to-myself,’” Folman said. As such, maybe it’s not surprising Folman called his contribution to the exhibition Depression Chamber. It’s in the first room on the right before entering the exhibition. Visitors experience it one-at-a-time in a closed, darkened space. Lying on their back, they listen to Cohen’s 1971 song “Famous Blue Raincoat” while viewing an animated black-and-white interpretation of its lyrics on the ceiling. The idea for the exhibition dates back to 2014, when Cohen was still very much alive. At the time, the committee planning Montreal’s 375th birthday events for 2017 approached the MAC to see if they could mount something special as part of the anniversary celebrations. “I was wracking my brain,” MAC’s Chief Curator and Director John Zeppetelli told The Times of Israel a few days before the opening. “Who could we celebrate in the museum that met the committee’s criteria — Montreal, building bridges and a global perspective. The show has attracted considerable interest and attendance from both French- and English-speaking Montrealers, reflecting his cross-cultural appeal. Unlike fellow prominent Montreal Jewish writer Mordechai Richler (who died in 2001), Cohen was not a divisive figure. Richler, who angered some Jews by his portrayal of his co-religionists in his novels, was famously outspoken against Quebec nationalists, earning the ire of many French Canadians. His iconic status was evident on the eve of the first anniversary of his death when numerous Canadian and international musical luminaries took part in a sold-out tribute concert at the Bell Center. More than 17,000 people packed what is normally a hockey arena, including Canadian Prime Minister Justin Trudeau, Quebec Premier Philippe Couillard and Valérie Plante who made history the night before when she was elected Montreal’s first-ever woman mayor. The concert seemed as emotional for the audience as for the performers who included Sting, Elvis Costello, Courtney Love, Feist, k.d. lang and Lana del Rey. Often accompanied by a 25-piece orchestra and three female back-up singers, they performed 22 songs from Cohen’s illustrious repertoire spanning the past 50 years. All sang with passion and great reverence, giving the distinct impression they were honored to be part of the event. Cohen dominated the evening through his songs, recorded spoken words, and photographs, videos, paintings, poetry and self-portraits projected on screens above and next to the stage. His 45-year-old son, Adam, a gifted singer and musician in his own right, co-produced and performed at the event which he said represented the end of a year of mourning in keeping with Jewish tradition. Five songs into the concert, Justin Trudeau and his wife Sophie appeared onstage. They spoke with great respect for Cohen, the most famous and internationally admired Jew Canada has ever produced. Such an evening wouldn’t have been complete without some lighter moments given how humor was an essential part of Cohen’s sensibility. Several video clips highlighted his self-deprecating wit and comedian/actor Seth Rogen generated much laughter with his monologue. Although Cohen lived for many years in Los Angeles, which is where he died, Montreal remained an inseparable part of his being. His son has said his father was always suspicious about people who didn’t like Montreal. That enduring passion for his hometown was a part of a beautiful love story that helped define him. Today the city is reciprocating that emotion, exalting one of its nice Jewish boys to a near-holy stature. Thanks to Pentti Lentäjäinen for the link! Go to the original page to see all the photos!